I have a feeling that I’m going to be spending a fair amount of time this summer writing about Ohio State football. To start with, you can go take a look at my post at Draft Day Suit. I should also thank all the friends whose first thoughts were to check on my well being this morning. I wasn’t ready for this to happen today, guys, but I thought it was coming. And I appreciate your concern. There will be more. 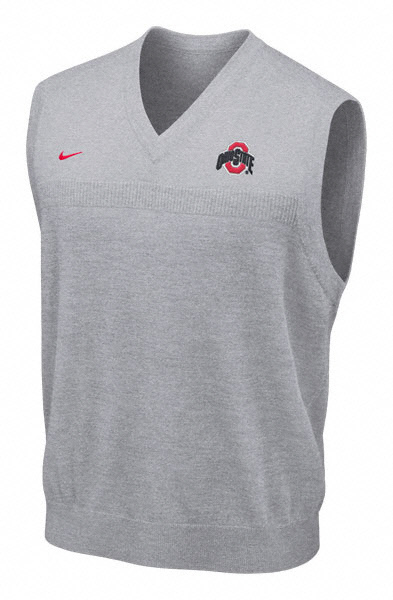 But in the meantime — does anyone need a grey sweater vest? Lightly worn, size XXL. Excellent for Halloween costumes or Penn State booster parties. Just lemme know. Woody is turning in his grave!